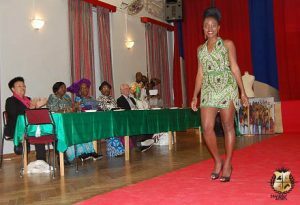 On International women´s day there was an exclusive fashion show at Medborgarhuset in Alvik. 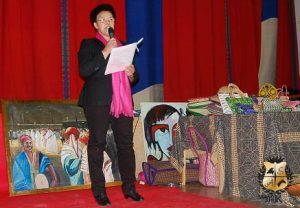 Margaret Gärding was invited to talk about women´s rights. -We still have gender discrimination both in Africa and in Sweden, she said. Margaret Gärding is a former anti-apartheid activist from South Africa who is now a candidate for Feministiskt initiativ in the EU parliament election. She also works with human rights and talked about the discrimination of Africans in Europe including Sweden. – We in Diaspora can do so much for ourselves and to support Africa. Therefore we must network and organize ourselves. Let us remember where we come from with dignity and shape our future, she said at the end of her speech. The event was very appreciated and the hall was almost packed to its full capacity. 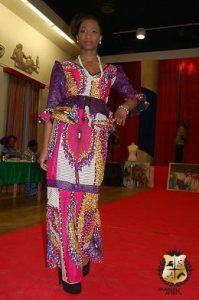 At the fashion show there were special Africa fabrics designers on ankara and adire. -The fashion show was fantastic, they really shocked me. They showed what they can do and I pray they will continue, said Peggy Åsard, Matron of the Nigerian Union, who was enjoying the show from the high table. 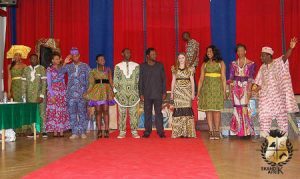 Apart from the fashion show there was also an exhibition of arts and crafts from Africa and live music performances. 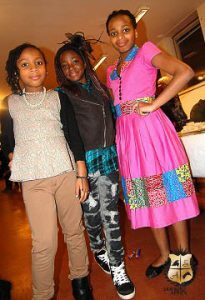 Among the young people on stage were three little girls named Tajrat Afolabi, Ife Afolabi and Maria Porker. They were the lead singers when the whole audience was singing the Nigerian national anthem. -I was really nervous before the performance and we had practiced a lot, but when I heard that everyone was going to sing along it was okay, Ife Afolabi said afterwards. 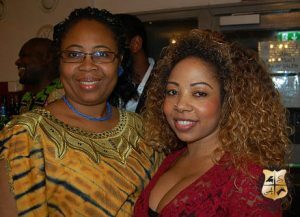 The event was organized by Nigerian youth in Sweden in collaboration with Nigerian Union Sweden in Stockholm. 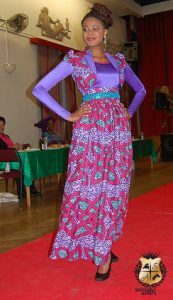 The visitors were served traditional Nigerian food and snacks such as suya and chin chin. Some of the people who enjoyed the snacks were Olivia Nantongo and Lydia Akinwale. -The chin chin was very perfect. Not too much sugar, not too much water, just accurate, Lydia Akinwale said. The evening ended up with dance and 9ja music.